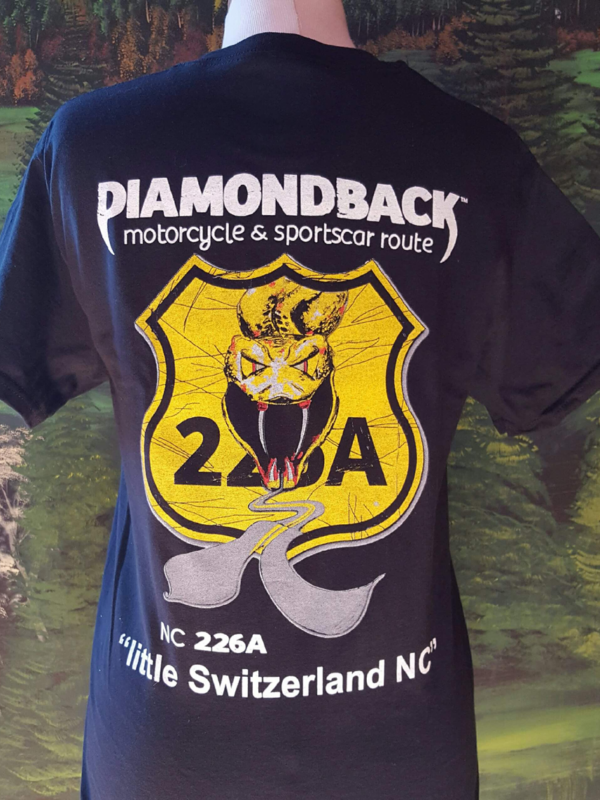 The Diamondback is a Sportscar and Motorcycle Route that winds it’s way past The Switzerland Cafe and through the beautiful Blue Ridge Mountains of Western North Carolina, and now Motorcycle and Sports Car Enthusiasts can show off their love of the famous “Diamondback” (Highway 221A) with this high quality T Shirt. 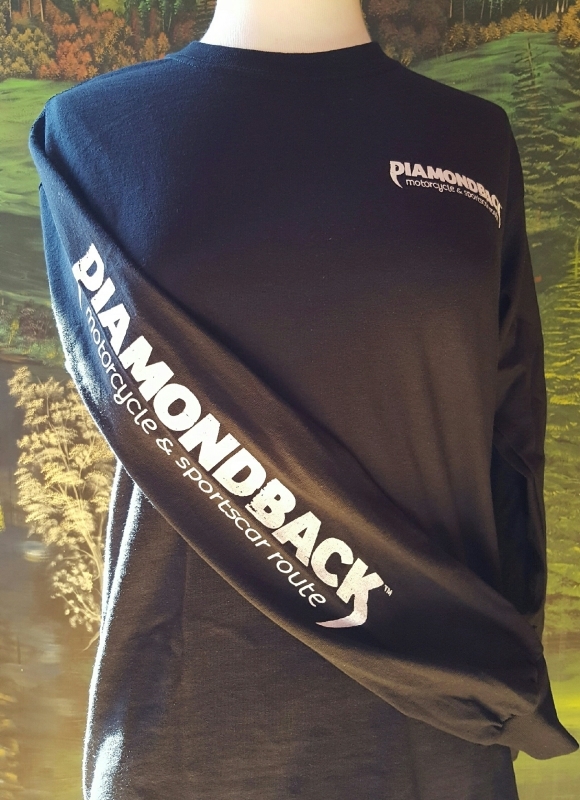 Available in both long and short sleeve, this breathable 100% cotton T-shirt comes in a fade-resistant all black. 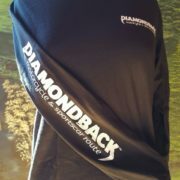 The Short Sleeve shirt features the white Diamondback logo on the left breast as well a huge color image on the back. 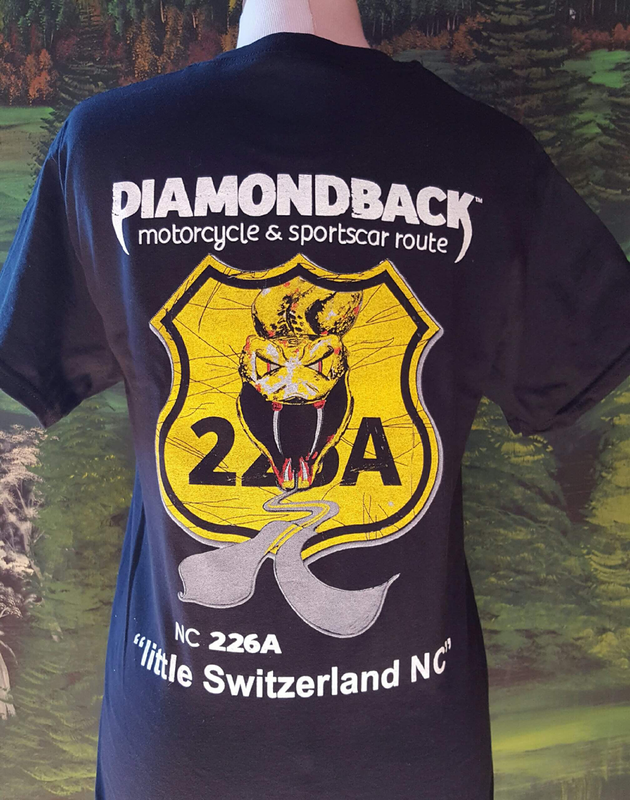 3X SIZE IS TEMPORARILY OUT OF STOCK!